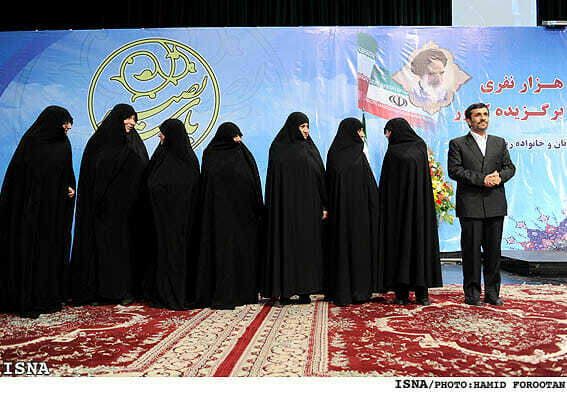 Iranian regime President Mahmoud Ahmadinejad says the existence of Israel is an insult to freedom and justice. Iran’s President Mahmoud Ahmadinejad says the occupation of Palestine is a historical problem and the existence of the Zionist regime is an insult to freedom, justice and all independent nations. “The Europe and the US spend tens of billions of their wealth on the Zionists each year to help a criminal regime…continue its occupation [of Palestinian lands],” he said, addressing a convoy of pro-Palestinian activists in Tehran who are heading to al-Quds (Jerusalem) on Sunday. He also slammed the Western states for showing no tolerance towards questioning the existence of Israel. “Despite all liberal claims of the Western states, nobody is ever allowed to ask a question or conduct a research on how the Zionist regime was established,” the president said. “The issue of Palestine is not an argument between one person and another or a conflict created between the followers of one prophet and another …but the dispute over Palestine is a dispute over dominating and managing the world,” Ahmadinejad added. The Iranian chief executive further stated that the Zionists try to pitch states and nations against each other and create a rift between governments and their people and spearhead international terrorism.